It said the previous longest continuous period without coal-generation was 19 hours, achieved last May. It comes after years of moving to less-polluting natural gas and renewables - though demand for power also tends to be lower on Fridays. Although National Grid said a coal-free day looked likely, it would only know for sure very late on Friday. Britain opened its first coal-fired power station in 1882 and coal remained a dominant part of the energy mix until the 1990s. However, its use has fallen in recent years, as plants closed or switched to burning biomass, and it accounted for just 9% of electricity generation in 2016 - down from 23% the year before. Last year, the government said it wanted to phase out Britain's last plants by 2025 as part of efforts to cut carbon emissions. 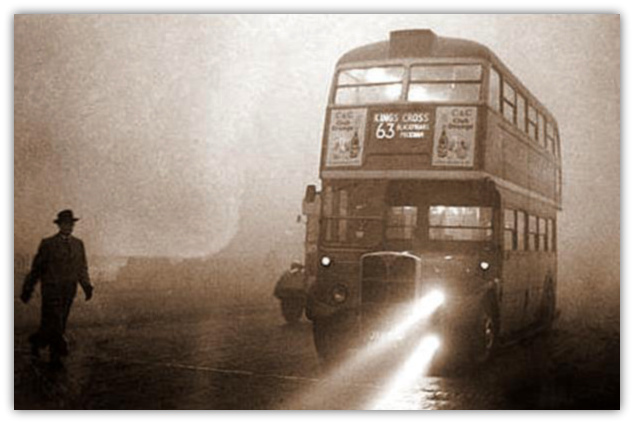 Coal has powered Britain for more than a century. But today's landmark moment - the first 24 hour period without any coal powered generation - is a sign of how the once mighty fuel is being consigned to history. Paul Ekin, professor of resources and environment policy at University College London, said a full day day without coal would be "enormously significant". 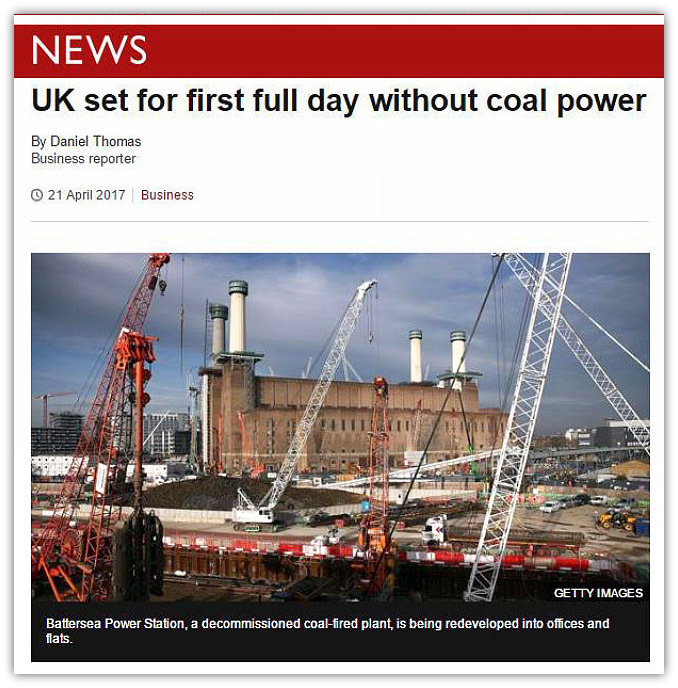 "As recently as the late 1980s coal was supplying as much as 70% of UK electricity," he told the BBC. "We then had the dash for gas in the 1990s, with nuclear roughly contributing around 25%, and coal dropped below 50%." He said the current thrust was to replace coal with gas but that renewables like wind and solar were also playing a bigger role - accounting for 25% of supply in 2015. Hannah Martin, head of energy at Greenpeace UK, said the first day without coal in Britain since the Industrial Revolution "would mark a watershed in the energy transition". However, Cordi O'Hara of the National Grid said coal still had a role to play as the UK transitioned to a low carbon system. "Our energy mix continues to change and National Grid adapts system operation to embrace these changes." 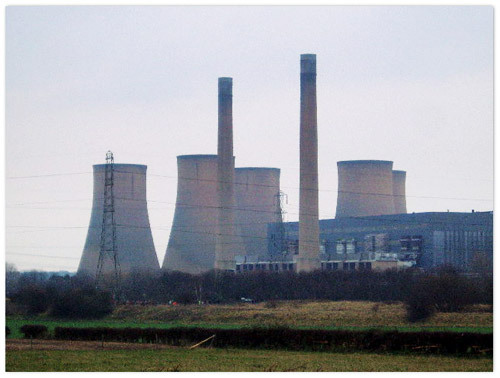 2016 - Government says it wants Britain's last coal power plants to close by 2025.